Icy conditions caused roads in Montgomery County to become hazardous, leading to numerous crashes. The sheriff’s office said deputies worked more than 20 weather-related crashes as of Friday morning. That number grew throughout the day to more than 40 by Friday evening. They added many roads were difficult to navigate and urged residents to stay home. Drivers were asked to avoid Interstate 24 westbound between mile markers 8 and 11 due to solid sheets of ice. 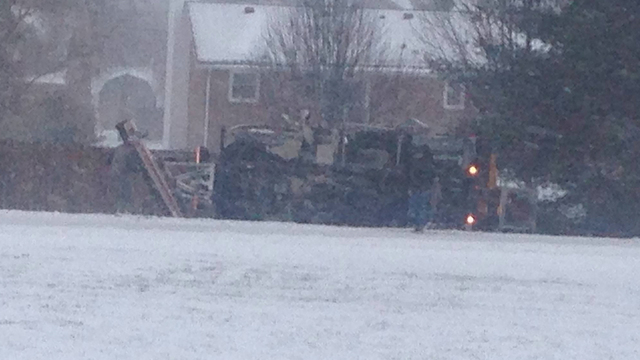 Michael Evans, of Clarksville, sent us the photo below of a city salt truck that overturned on Ringgold Road. We're told the driver of the truck was okay.